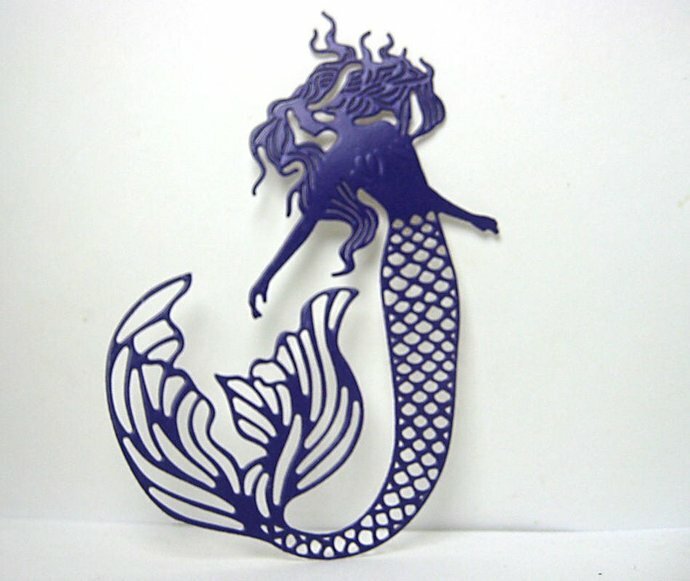 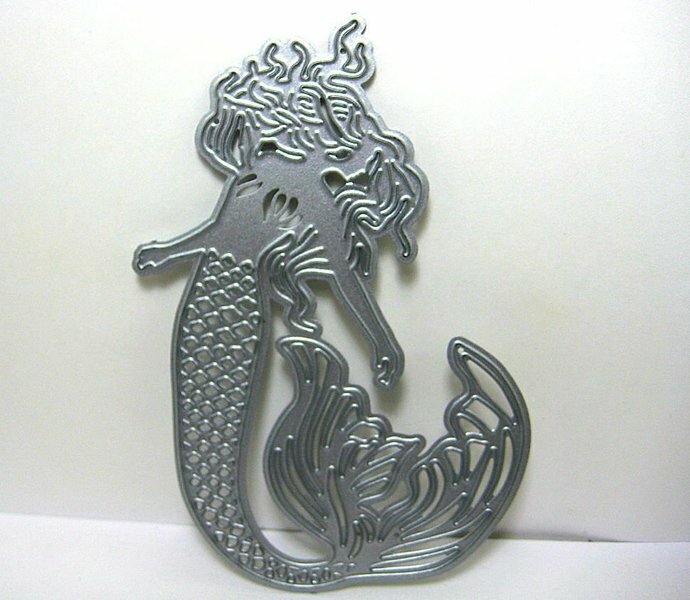 Mermaid Cutting Die Style #1 is 4 & 1/4" long. 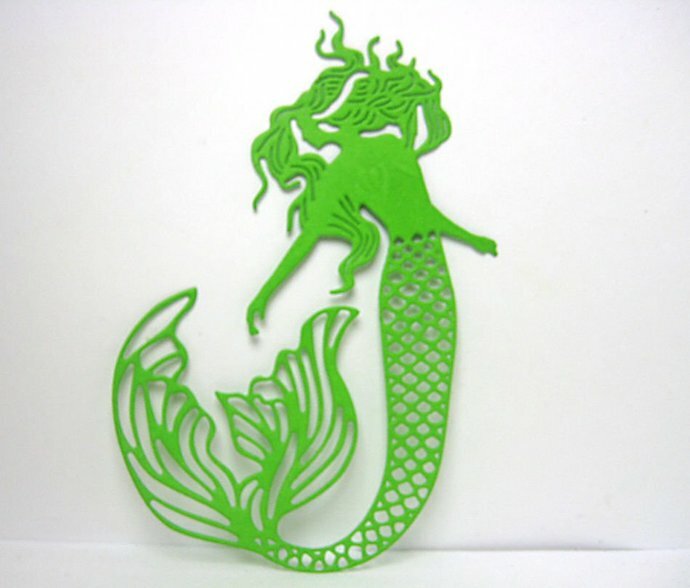 Cuts great on my Sizzix Big Shot Plus. 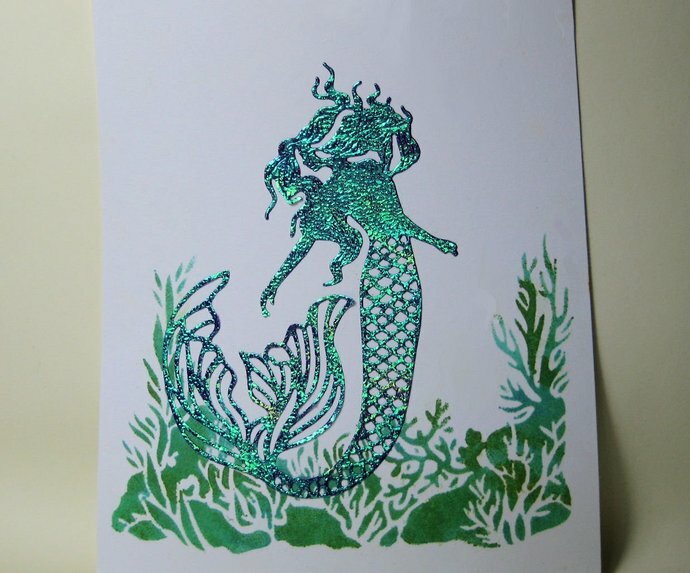 I cut the mermaid out of shiny multi-colored origami paper that I will be adding to my shop soon.